Champions league football game, choose your team and try and win the cup! Choose a right direction to kick the ball. 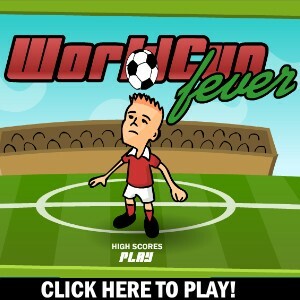 A nice little soccer game with nice graphics and game play, play as either the boys or the girls. Click your mouse to move the robot towards the soccer ball most points scored on goal wins. Click the ball repeatedly to keep it in the air as long as possible. Show off your soccer skills by keeping the ball in the air by heading and kicking.